Top-ranked Indian single player Prajnesh Gunnerson comfortably advanced to the next round of the Miami Open after defeating 29-year-old Spaniard Adrian Menendez Maceiras with a scoreline of 6-2, 6-4. Meanwhile, compatriots Ramkumar Ramanathan and Karman Kaur Thandi bowed out in the opener itself. In-form Indian tennis ace Gunneswaran jumped to a career-high rank of 84 on Monday after impressing at the Indian Wells tournament last week. He had stunned world number 18 Nikoloz Basilashvili to register the biggest win of his career after reaching the third round at the ATP Master series event. As a result, he amassed a total of 61 points in the recently released ATP rankings. 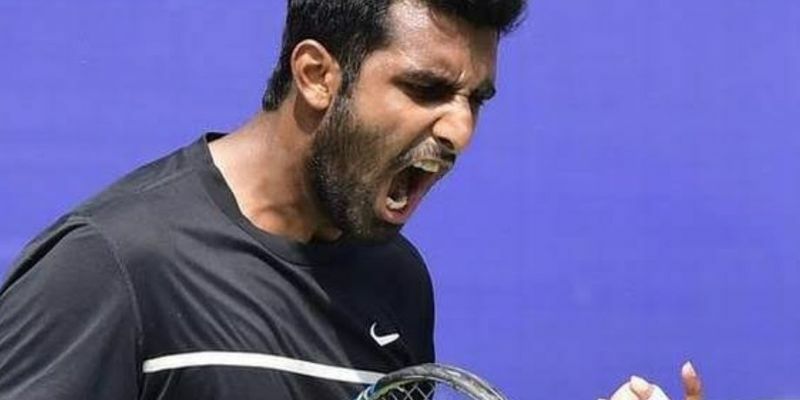 Gunneswaran continued his form in the qualifying round of the ongoing Miami Open after beating Spain’s Adrian Menendez Maceiras in straight sets on Tuesday. Gunneswaran made his way to the next round with a comfortable 6-2, 6-4 win over Maceiras. The 29-year old Indian would take on Great Britain’s Jay Clarke in the final qualifying round, a week after reaching the third round at Indian Wells. Meanwhile, fellow compatriot Ramkumar Ramanathan went down in the same round losing his qualifying round one match 4-6, 1-6 to Lorenzo Sonego. Amongst the Indian women, Karman Kaur Thandi, who was given a qualifying wild card for the Miami Open, retired hurt in the first match itself. She trailed 0-6 0-3 against Viktorija Golubic before she backed out citing a shoulder injury. Elsewhere, India’s top-ranked women’s singles player Ankita Raina advanced to the second round at the $25K ITF tournament in Japan. Raina, seeded fourth, outplayed Yuxuan Zhang 6-3, 6-2 to advance to the next round in Kofu.